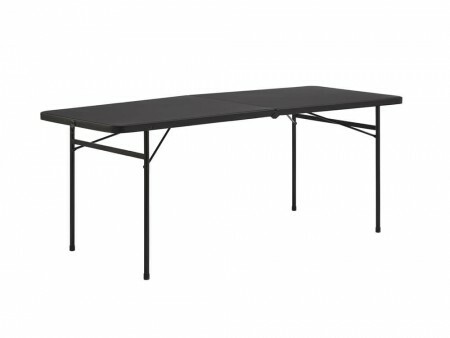 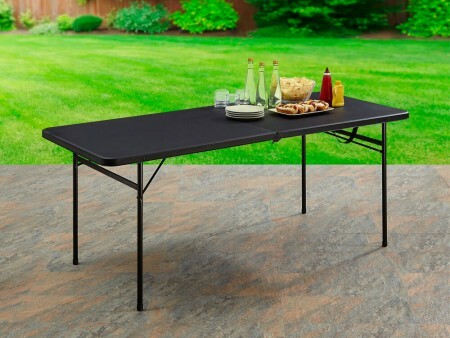 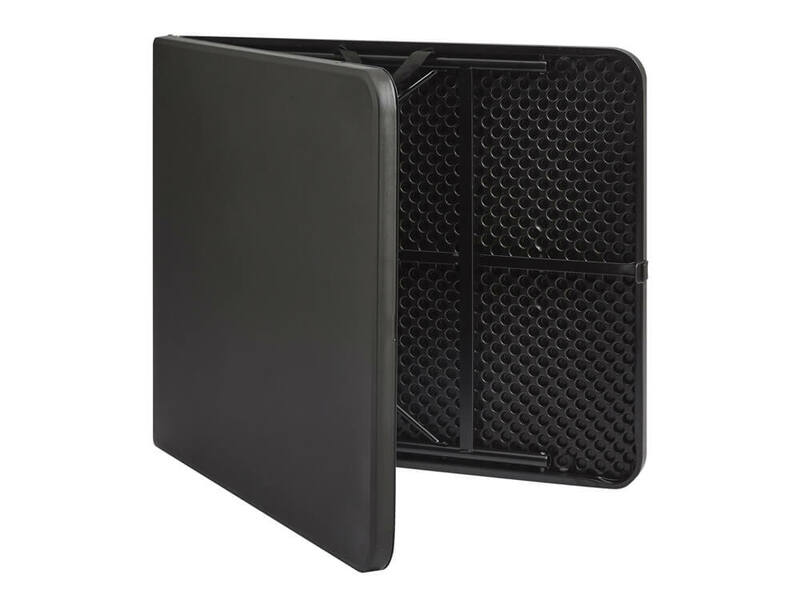 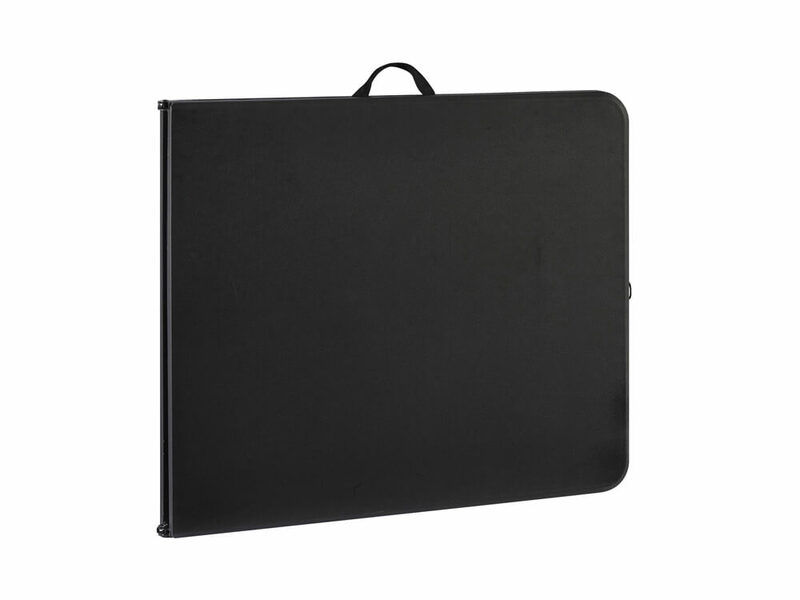 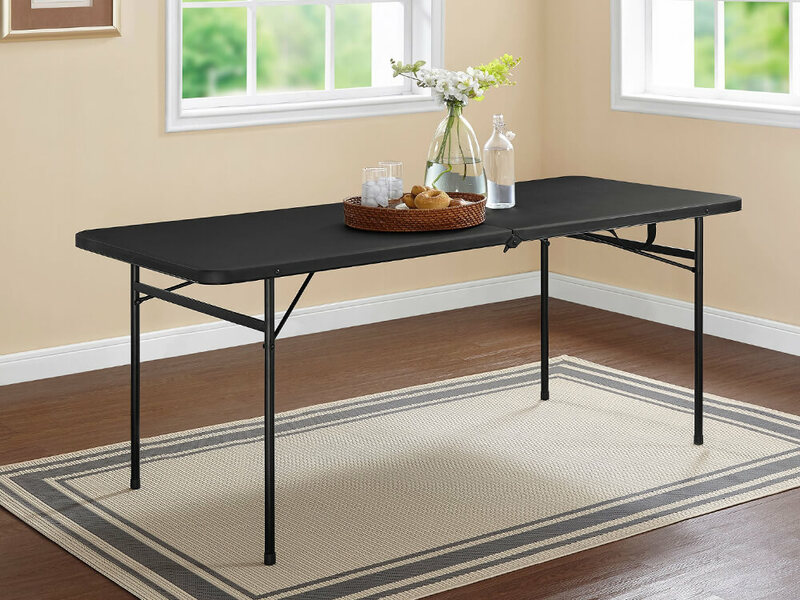 Classic black color coordinates with almost any decor, versatile rectangular table is sturdy and durable, made with reliable materials, and folds. Rubber stoppers on the legs for added grip on floor surfaces. 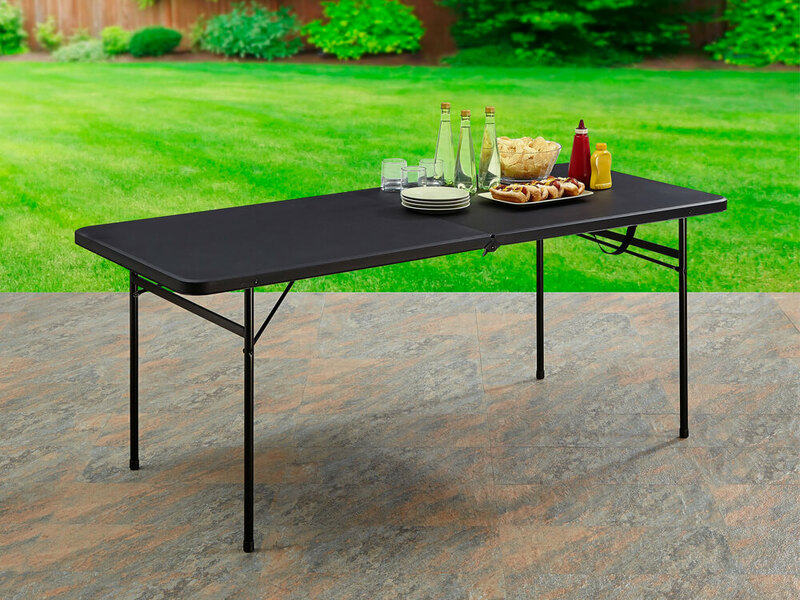 Appropriate for use indoors or outdoors.